all kinds of hard candy or to much sugar. We have had many customers ask us for an Easter basket that is more toddler specific and this is what we came up with. Instead of a wicker basket we made up the toddler ones in a cute plastic bucket. The bucket is themed towards either something appropriate for little girls or boys. Candy choices are themed more towards toddlers. You will not find any hard candies or bubble gum in this basket. You don't have to work about getting small toys that will end up in the little ones mouth and be a choking hazard. Of course like anything else with toddlers you do have to watch them. All this and more comes in a cute plastic bucket when emptied they can carry their toys around in. 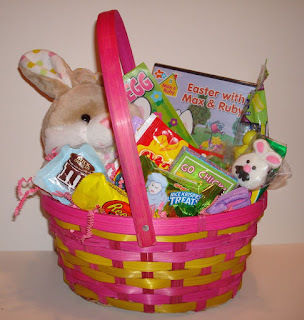 So if you are looking to buy a toddler Easter Basket check these out delivered right to your door and a personalize gift message can be added. Our large Easter basket is perfect for the whole family. If you are looking to buy an Easter basket for the family to share this is the one. Everyone likes to play the bunny at Easter and give Easter baskets. But let's face it , if you need 3 or 4 Easter baskets that can get pretty expensive. If that's the case why not buy the ultimate Easter Basket ? 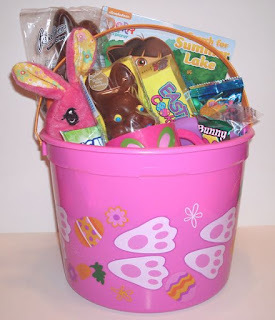 From kids to teens to adults everyone will love this Easter basket. Not enough candy in it and you want more. Just give us a call, you can hand select what other candy you would like to add to this basket. So if you are looking to buy a large Easter basket this is the one. Filled with name brand Easter candies that everyone loves. Send it to yourself or have it delivered right to the recipient. We can even add a personalized gift message. Easter candy there are so many choices how do you choose ? Picking out Easter candy is not so easy anymore, but it sure if fun. How do you decide what Easter candy to buy ? Do you pick just chocolate Easter candy or your favorite candy you ate as a kid ? Jelly Belly or do you pick some of the newer brands that have come out over the last couple of years? There are warheads jelly beans, lemonhead , sweet tarts or jolly ranchers. Sweet or sour there is something out there to appeal to your taste buds. If you are looking for some old time Easter Candy you have your Fiesta Malted Milk eggs in white or pastels, marshmallow chick and rabbits, bunny basket eggs, chocolate bunnies, gold brick eggs. Chocolate bunnies have even changed. Of course there are solid chocolate or hollow bunnies. Milk chocolate or white. Many candy companies have their own style of bunnies. Reese's, Cadbury, Hershey's and Snickers. Some have peanut butter, some have peanuts or caramel and others have rice crisps. Of course you need chocolate eggs as well. Whether you like Reese's Eggs, Hershey eggs, Twix Eggs or snickers. You can find just about any type of candy you like in the shape of an egg with a mixture of fillings. Maybe you don't even put that much thought into picking our your Easter candy and just walk down the isle and grab bags and just throw them in your cart. Many of times you know exactly what you want and have to run from store to store to find it. 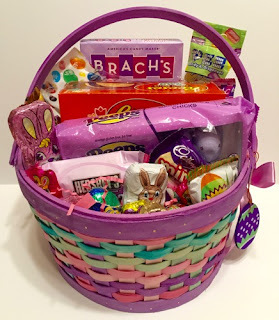 Why not just buy your Easter candy online and have it delivered right to your door. No hassle of running from place to place. Buy your Easter candy from O'Ryans Village save time and money and still have some shopping fun.